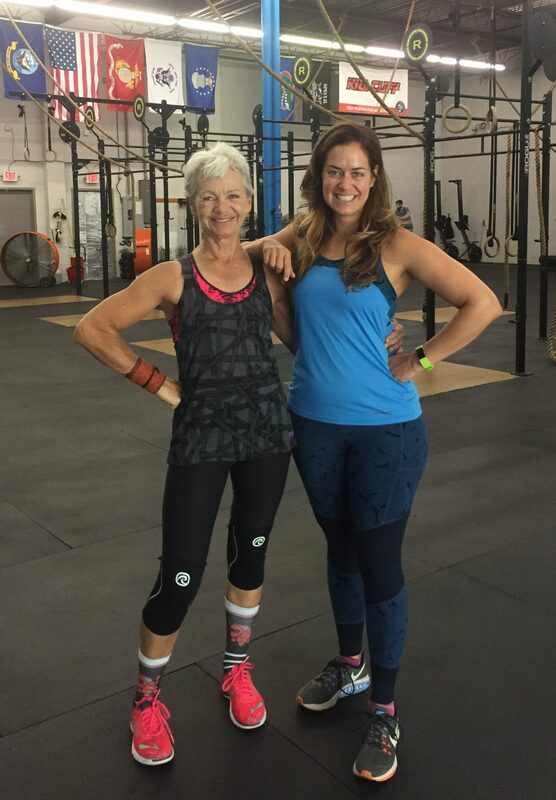 “To me, you were always just there,” says Susan Morgan, my Uncanny Fitness gym partner of three years, when I ask her if she remembers how we met. I vaguely remember our meeting. It was a 9:30 a.m. class, the only one I have ever attended regularly, and Susan was there with her daughter, Krissy Moses, talking excitedly about their most recent adventure—skydiving. “Oh, if that’s what you remember, then that was December 2015,” she says. Nor do either of us remember that first text, but now we text regularly. We both attend the Monday, Wednesday and Friday 9:30 a.m. classes as much as we can. Before every class, we text to make sure the other is going. Without this, I’m sure my attendance would be far less stellar. So what exactly are the benefits of having a gym buddy? Sooner or later, everyone needs a nudge. “Sometimes when I ask if you’re coming in, it’s because I’m a bit mehhhh and I need a nudge,” she says. It’s a mutual nudge though. I’m far more excited about coming in when I know Susan will be there. Knowing she is going gives me that extra push of motivation to come in. 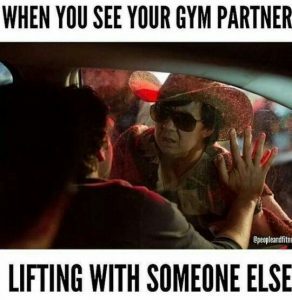 Having a gym buddy gives us the power of connection. Until we talked for this story, Susan and I hadn’t realized that we had both been members of L.A. Fitness before we came to Uncanny. I paid for an entire year without walking in once. In her last year of membership at L.A.F., she went in maybe four times. Whereas the socializing of a group workout can do wonders to lift the mood. A buddy reminds us of the weekly schedule we have committed to. I travel a lot internationally for work, and my dating relationship is long distance. So when I get back from a trip, it’s easy to be lazy and take an extra day off from the gym, citing jetlag or tiredness. Sometimes I am too tired to even think about an overhead squat. But sometimes the issue is that I have simply gotten out of my three-times-a-week habit and need a push to get back into that groove. That’s where Susan comes in. A buddy reminds us we’re stronger than we give ourselves credit for. One of the benefits of working out with the same person or people every day is that you know their weightlifting maxes. For example, I know that I deadlift 165 and Susan deadlifts 225. Yup, that’s committed to memory. But on some lifts, Susan doesn’t always push herself to find her true max. I do say that. I regularly remind her that she’s a powerhouse. A bad@ss. A while back, Susan had been saying she couldn’t do a box jump, and I just knew she could. The same way I know when she can lift more than she sometimes does, because I know we lift the same amount in many areas (or that she tends to lift more than I do). Having someone believe in us changes what we believe we are capable of. True. And if I don’t see Susan lifting as much as I know she’s capable of, she gets another nudge. A true CrossFit bestie cares about the quality of your workout. Your CrossFit buddy is invested in your gains as much as their own. In this sport, we all workout together, which means we can’t help but improve together. When our lifting partner lifts more, we want to do better to keep up. Or when we see the regulars in our class getting faster with cardio, we become encouraged to run a bit more, maybe cut out the nightly snacking. Whatever it takes to keep improving together. After all, that’s what it’s all about: We all get better together.